we have a number of events on this week, hopefully people will be able to make at least a few of them. The first campus screening of the award-winning documentary – Unmanned: America’s Drone Wars, which looks at the Western drone attacks that regularly kill civilians throughout tribal areas of Pakistan (and beyond), in the name of ‘anti-terrorism’ and ‘security’. There will be a Q&A session after the screening with a former investigator from the charity Reprieve, who have won awards for their work investigating and challenging the use of drone strikes in Pakistan. BEMA will be having our Annual General Meeting (AGM) to elect a new committee to run the Association next year. We’ll also be discussing what the Association can do next year – so come down and contribute even if you’re not thinking of going for a committee position. Changes to our constitution can also be proposed; the current version can be seen below. To run for committee all you’ll need is to prepare a 1-2 minute speech on what you can bring to the role and to BEMA, and maybe take some questions from attendees. 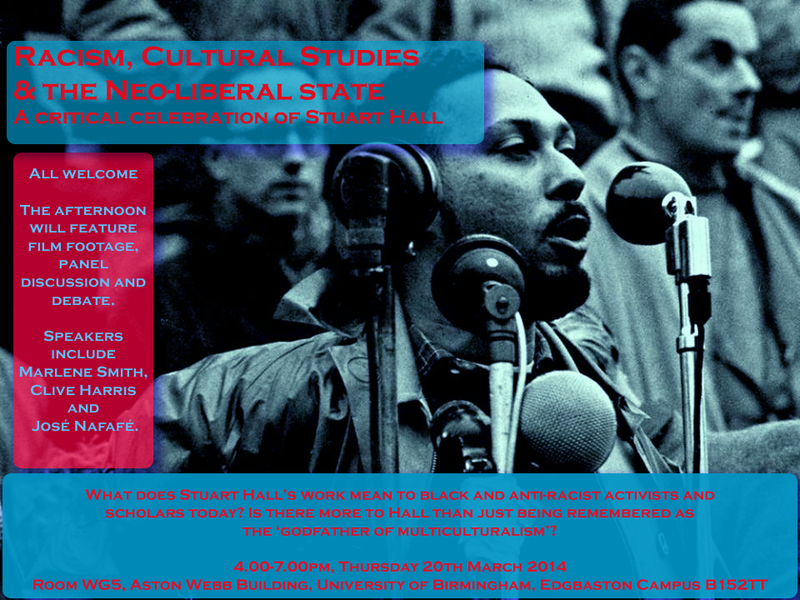 An afternoon featuring a panel discussion, debate and film footage looking at the late Professor Stuart Hall’s legacy as more than just the ‘godfather of multiculturalism’. We will be discussing his influence beyond UoB’s Centre for Contemporary Cultural Studies to the surrounding Birmingham community, and within Black academia and political activism. Organised by BEMA and Black academics of Birmingham.